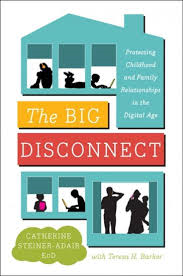 For her new book, The Big Disconnect: Protecting Childhood and Family Relationships in the Digital Age, Catherine Steiner-Adair Ed.D., a clinical instructor in the department of psychiatry at Harvard, a school consultant and a therapist in private practice, interviewed more than one thousand children between the ages of 4 and 18 to find out how technology was impacting their relationships and their social and emotional lives. What Steiner-Adair discovered was neither surprising, nor comforting: Technology is becoming a kind of “co-parent;” too much screen time is impeding childhood development; and parents’ obsession with their devices is harming communication with their children and even fracturing families. 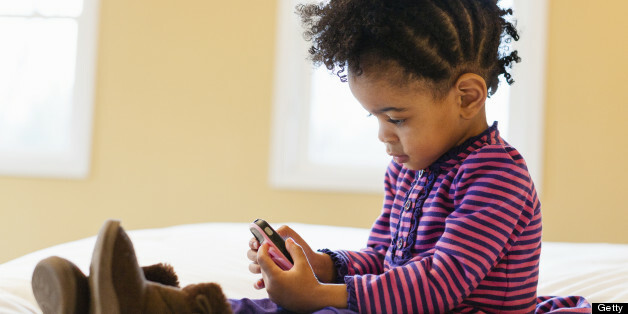 Just in time for back to school, The Huffington Post asked Steiner-Adair to tell us the eight essential things parents with children of all ages need to know about screens. 1. Don’t put your baby in front of a screen. Ever. If you’re not convinced by the recommendation of the American Academy of Pediatrics, then consider this: “We don’t know yet the chemical interaction between a smartphone and a baby’s brain," says Steiner-Adair. One 2010 Danish study of 28,000 children found that exposure to cell phones before and after birth seemed to lead to an increased risk for behavioral problems. 2. And think hard about putting your toddler in front of one, too. “A child only has from 0-5 to develop neurologically what we call the sensorium -- that’s the part of the brain where pre-literacy, kinesthetic movement, and language development happens,” says Steiner-Adair. This kind of brain development takes place through outdoor play, building, dancing, skipping, coloring -- all activities involving multi-sensory engagement. This kind of healthy engagement is basically the opposite of passively swiping a finger across a screen, says Steiner-Adair. 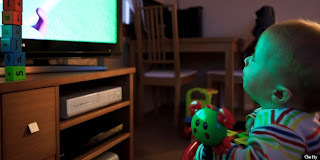 While she acknowledges that decent games and apps exist -- Steiner-Adair directs parents to Common Sense Media’s website for recommendations -- she insists that replacing play “IRL” with play on a screen is not what children this age need. 3. Teachers can tell if your child is getting too much screen time. Educators interviewed for Steiner-Adair’s book said that kids who spend too much time in front of screens play differently -- and less creatively -- than other children. Those who act out “Mario Brothers” or “Angry Birds” in the school yard aren’t tapping into their capacity to create their own narratives, says Steiner-Adair. “Instead of saying ‘look how high I can go’ when they’re on the swings, they say ‘look, I got to the next level!’” she says. Teachers also told the author that students who play a lot of video games don’t seem to have as much patience to sit still in the classroom, especially when they are being read to. “The capacity for attention doesn’t develop as well when kids are used to interacting with a screen that’s instantly gratifying, instantly stimulating, and provides them what the answers for the next level,” says Steiner-Adair. 4. Your kids hate your screens. 5. Just because we can be connected to work 24/7 doesn’t mean we should be. Being constantly on call or being afraid of missing something if you don’t check your work email means you’re preoccupied and stressed when you should be enjoying your family. 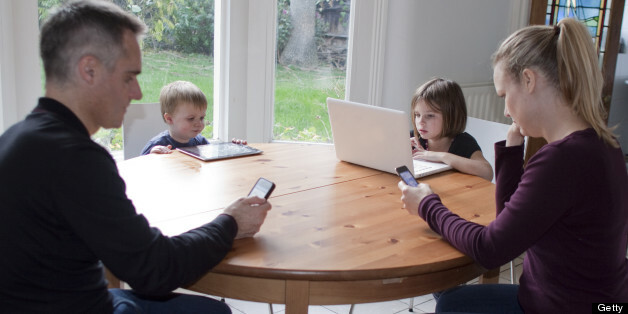 Steiner-Adair says that if the modern workplace is ever going to change, parents must ask employers for modulated schedules and speak up about their need to unplug. 6. Screens aren’t good for your marriage. And that’s not good for your kids. Steiner-Adair asks parents to answer this question honestly: “First thing in the morning, do you roll over in bed and look at your phone and scroll through it -- or do you roll over and cuddle your partner?” Kids are acutely aware of their parents’ disengagement from each other. 7. In order to be a good parent, you need to take care of yourself. 8. 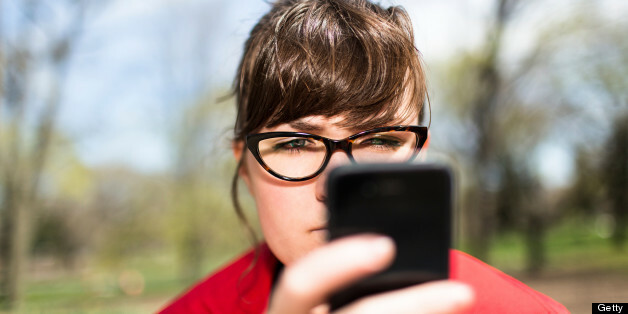 Sorry, but you really don’t know what your kids are doing online. But that doesn’t mean you should give up trying. 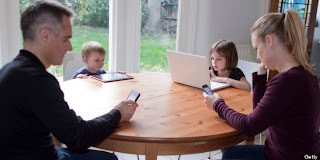 Steiner-Adair points to a June, 2013 McAfee study, “Digital Deception: Exploring the Online Disconnect Between Parents and Kids,” as evidence that parents are often clueless about what their kids are doing online -- and says that their ignorance is seriously harming their kids. Among the study’s findings: 80 percent of parents don’t know how to check up on what their kids are doing online. Not only that, 74 percent “simply admit defeat and claim that they do not have the time or energy to keep up with their children and hope for the best,” according to the study’s authors. Indeed, the McAfee study found that over 57 percent of 13-23 year olds use the Internet to search sexual topics while only 13 percent of parents believe they do. Steiner-Adair sees hope in at least one of the McAfee stats: Nearly half of the teens surveyed said they would change their online behavior if they knew their parents were watching. “This means we can have an impact,” Steiner-Adair says.